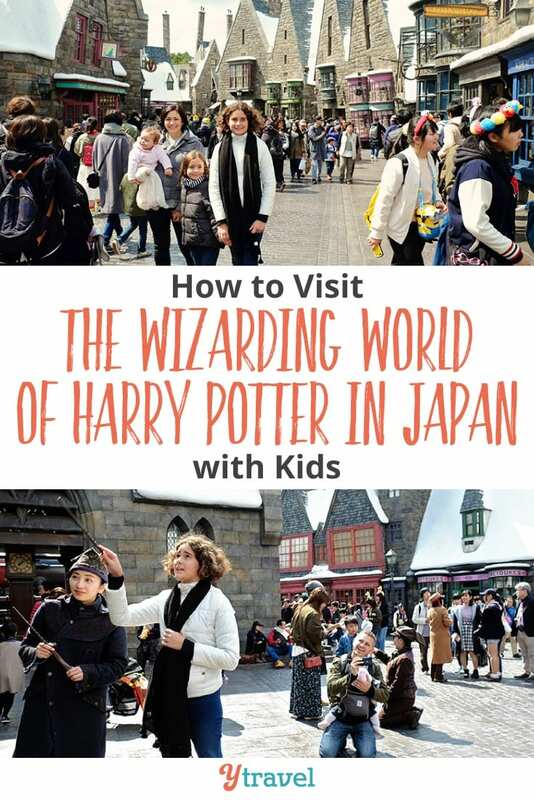 If you are a Harry Potter fan and you haven’t been to the Wizarding World of Harry Potter at Universal Studios Japan (USJ), it really should be on your bucket list! 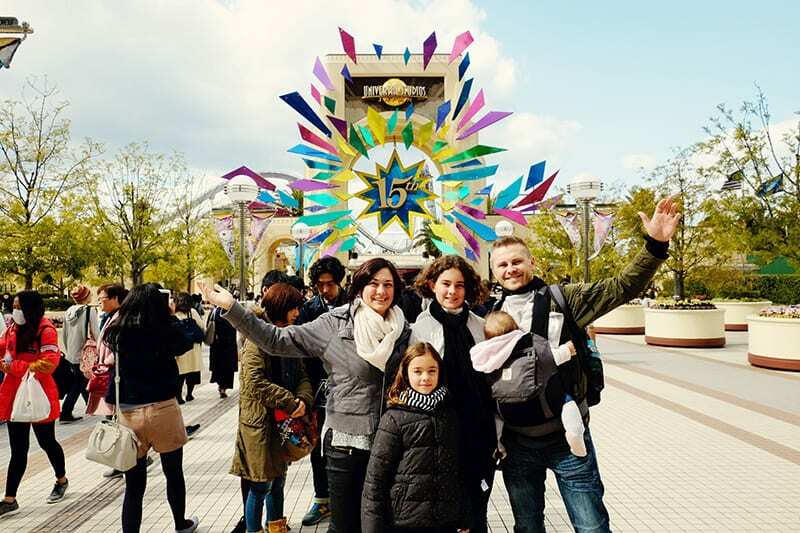 You can easily visit USJ as a day excursion from Osaka during your Japan family holiday. 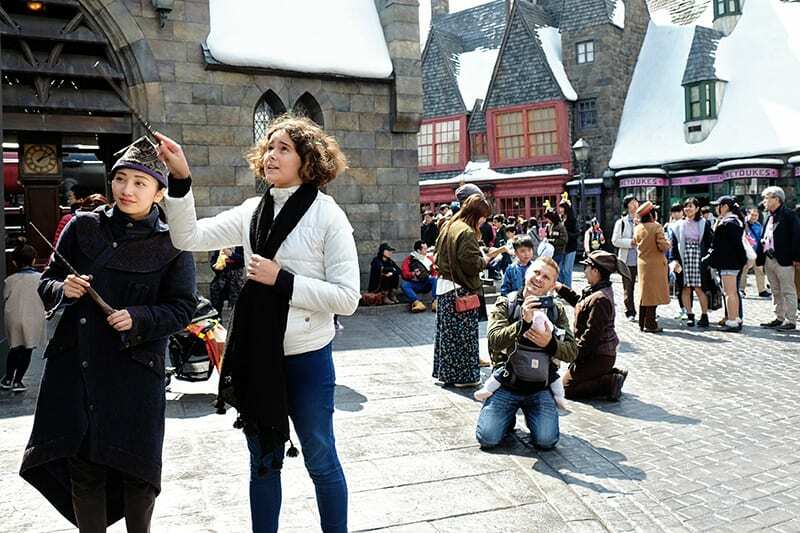 If you are ready to hop on the Hogwarts Express at Platform 9 ¾ and go to Ollivanders to get your very own wand, check out what it’s like to visit the Wizarding World of Harry Potter at Universal Studios Japan. It will allow you to be immersed in the magical world that you fell in love with in the Harry Potter books and movies. 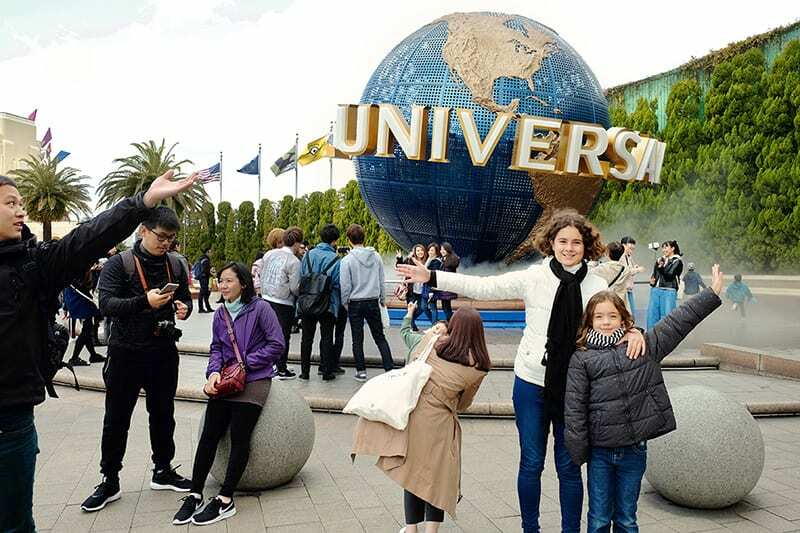 Here is a video to show you how much fun we had at Universal Studios in Japan! Click play and don’t forget to subscribe to our channel! Comfy Shoes: Make sure that you are wearing some really comfy shoes. You will spend most of the day on your feet. Be prepared for long wait-lines of up to 240-min during high season periods. You can find a list of our favourite comfy flat shoes here. Day Backpack: We prefer travelling with a backpack so that we can have our hands free to hold our kids’ hands. We love using diaper backpack bags because they have a wipes compartment, insulated pockets for water bottles as well as many other pockets for organization. Water Bottles: We always take our own reusable water bottles with us. Most places will always be happy to refill your bottles free of charge. Sun Hat: You will find that you will spend plenty of time standing in the sun in the ride lines, so make sure you take a decent sun hat with you. 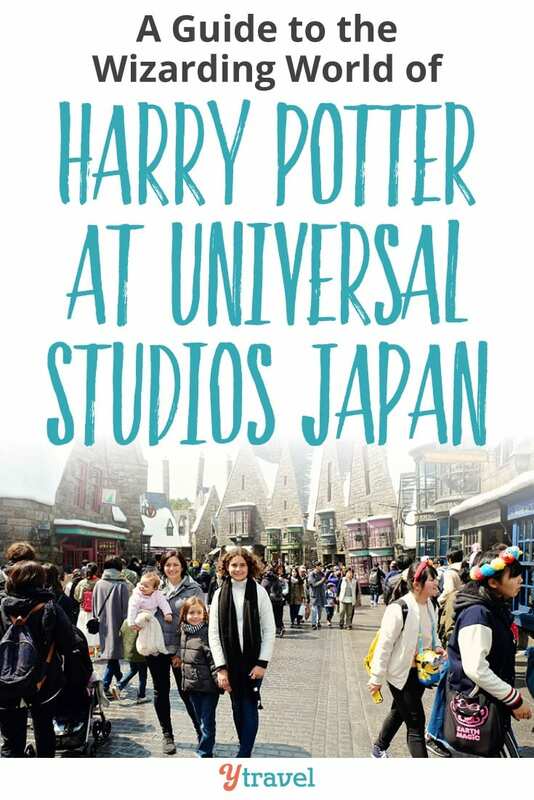 Universal Studios Japan App: Download the USJ app which will allow you to check on wait times for rides and attractions as well as to quickly look up show schedules. Compact Camera: And lastly, don’t forget to take your camera along! We find it best to take small compact cameras along to theme parks. You can find a great selection of compact cameras here. Before heading to Universal Studios, it’s a clever idea to pre-purchase your tickets. While you can purchase your tickets at the park itself, it tends to be extremely busy. 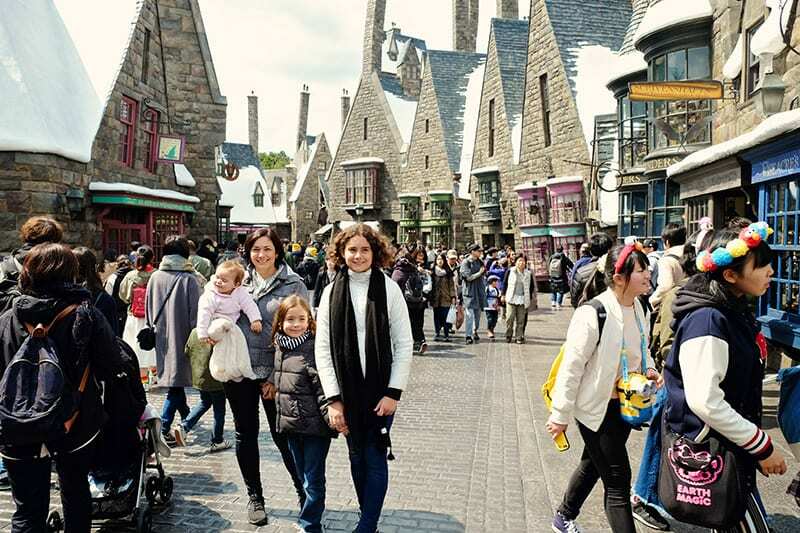 Make sure you buy the Universal Express Pass so that you will have a guarantee that you will get to enter the Wizarding World of Harry Potter. This pass will also shorten your wait times at popular attractions. Once you have entered the park, it is fairly easy to spot the Wizarding World of Harry Potter area. Just look for a path with a forest at the end, or hand over your park map to one of your kids and see if they can show you the way. Right after you immerse yourself in the trees you will hear Hedwig’s famous theme all around you. Next you will see the Flying Ford Anglia (which is from the Chamber of Secrets). 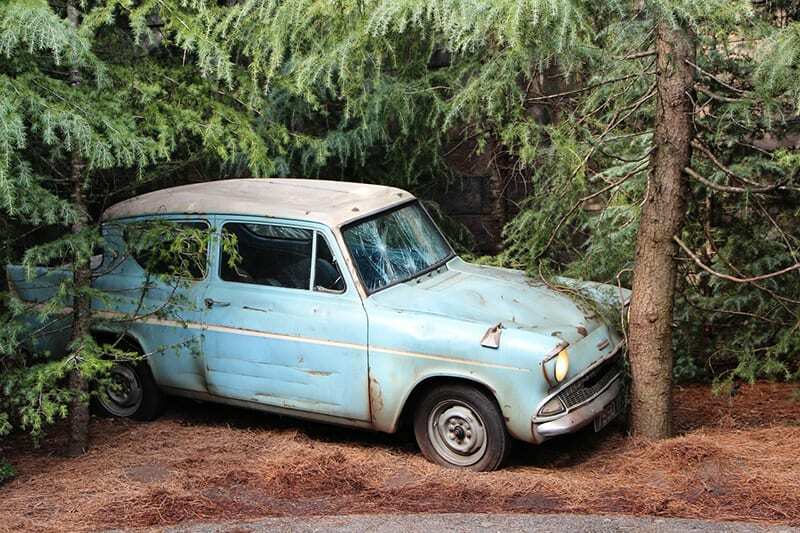 You may recall that it was used to rescue Harry from his home on Privet Drive by the Weasley brothers, but they crashed it into a Whomping Willow on their way back to Hogwarts. One of the best parts about the Wizarding World of Harry Potter is all the rides. The Forbidden Journey in 4K3D is the area’s most popular attraction. The ride is in Hogwarts Castle towards the back of the world and I highly recommend that you leave shopping and browsing till later so that you can beat the crowds to the ride waiting line (which will get SUPER busy later with crazy wait times!). Even the line-up for this ride is fun as you get to walk through Hogwarts on the way. You will get to see things like the Sorting Hat, Dumbledore’s office and Gryffindor’s common room. It is a bit strange because all the characters talk in Japanese, which gave us plenty of giggles. Once on the ride you will be transformed into a wizard and experience riding around on a broomstick exploring different areas of Hogwarts School of Witchcraft and Wizardry. You will also get to participate in a Quidditch match. Our kids loved this ride, although it left me with a touch of motion sickness! As you exit Hogwarts, you will see another fun ride. 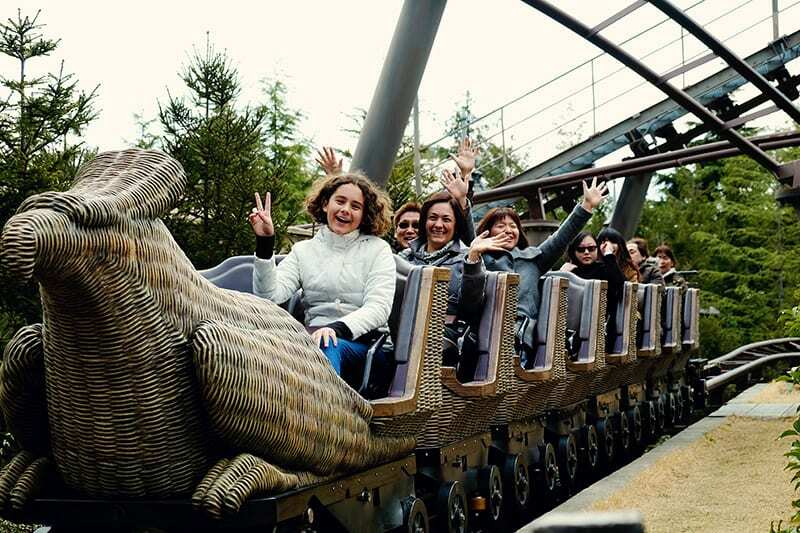 This one is called the Flight of the Hippogriff. Whilst it is like a rollercoaster, it is pretty tame in comparison. From the ride you can see the Care of Magical Creatures class which is quite the perk for Hippogriff lovers. After you’ve enjoyed the fun rides, it is time to get your wand at Ollivanders. You will be able to choose from a massive collection of character wands. Our one daughter snapped up Hermione’s wand, whilst our youngest decided to go with Ginny’s wand. One thing to keep in mind is that those who choose a “Wand Magic” will get the opportunity as they walk around Hogsmeade to be able to cast spells. It really adds to the magic of it all! There are about 10 magic stations throughout the area (check the map in your wand box) where wand owners can cast spells. Our girls loved making a chimney fire up, as well as open some suitcases at the train. They loved it! Even the food in this area has a Harry Potter theme. If you are feeling hungry head on over to the Three Broomsticks Inn which was frequented in the books by Harry, Hermione and Ron. There are quite a few dishes here, and the food is pretty good for theme park standards. Don’t forget to wash it all down with some Butterbeer. If you can, try to get a table outside as you can see some amazing views of the Black Lake and Hogwarts School of Magic. No trip to the Wizarding World of Harry Potter is complete without getting some souvenirs. So now is the time to have a browse around all the interesting shops where you can buy things such as a sorting hat, Harry Potter house jumpers, owls, lollies, and so much more! Don’t forget to visit Honeydukes Sweet Shop. For those that are feeling brave, purchase Bertie Bott’s Every Flavour Beans. Just remember that the flavors are sometimes, well, ‘’interesting’’. 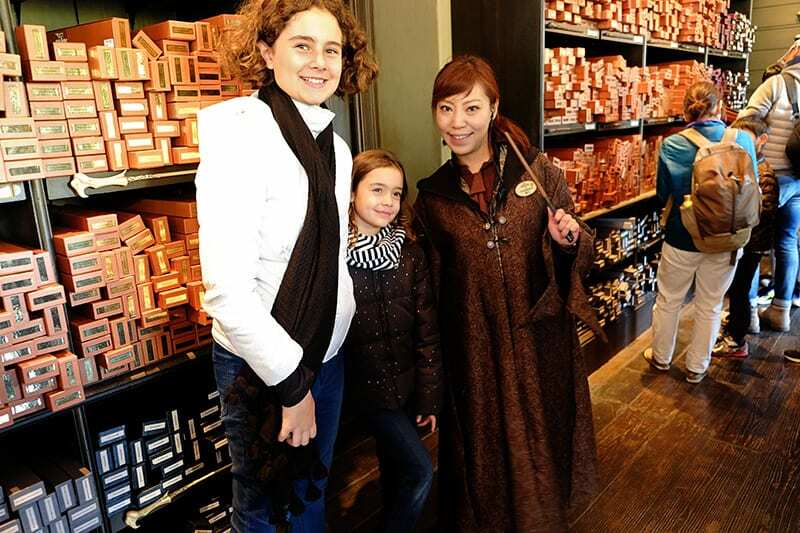 For a tamer treat, go for the chocolate frogs. Don’t worry, they won’t try to hop away! You will find that this shop has all sorts of items that were mentioned in the Harry Potter books so even if you aren’t looking for anything sweet to eat, it’s still fun to browse around the shop. IF you have any time left over, don’t forget to hop into some of the other worlds located at Universal Studios as well. Due to line-up waiting times we didn’t get to try out any of the other rides, but we did manage to watch a pretty hilarious show at ‘Underwater World’. It was all in Japanese and we just loved the enthusiasm and energy of the actors as well as the crowd. 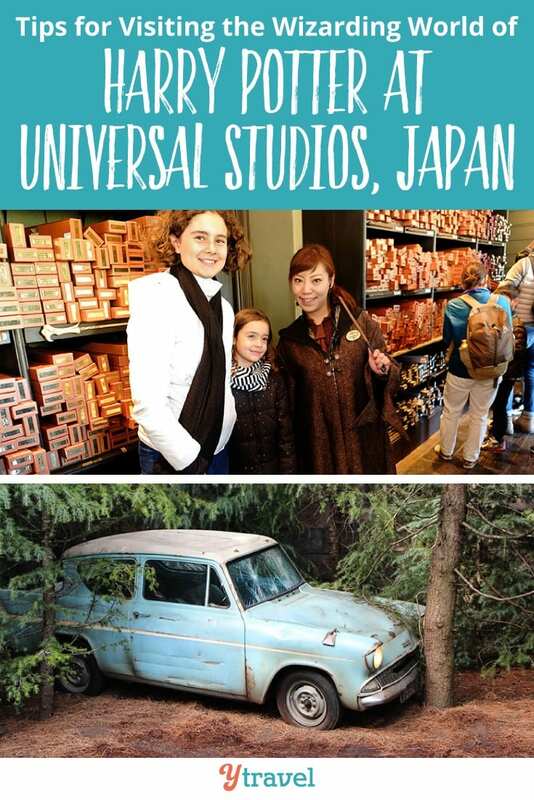 A day at Universal Studios Japan is worth it. Make sure to pre-purchase an express pass. Head over early and try to knock out your ‘must-do’ rides as early as you can. Take along lots of extra dollars as the souvenirs and food will add up quickly. The park was a hit with our kids and even us adults had a fabulous day out too! 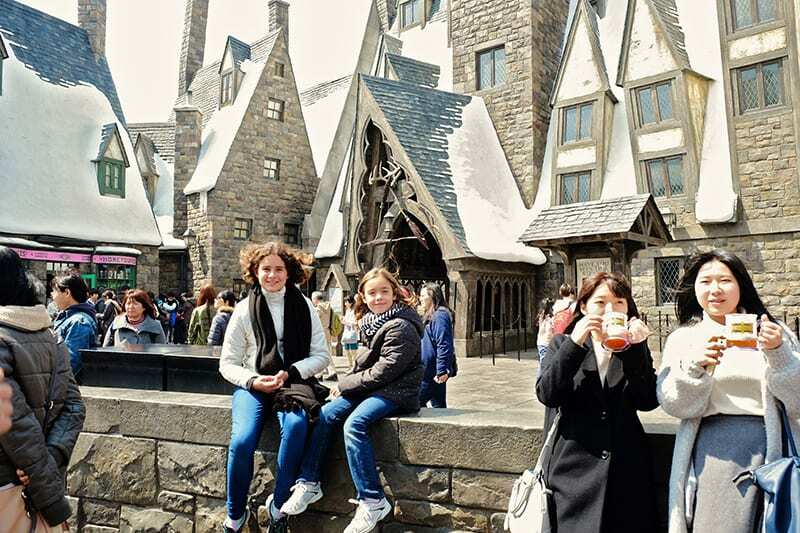 Want to visit the Wizarding World of Harry Potter in Orlando? If you’re staying in Japan for longer than a week and travelling by train between major cities, a Japan rail pass will save you money getting around. Click here to learn more. 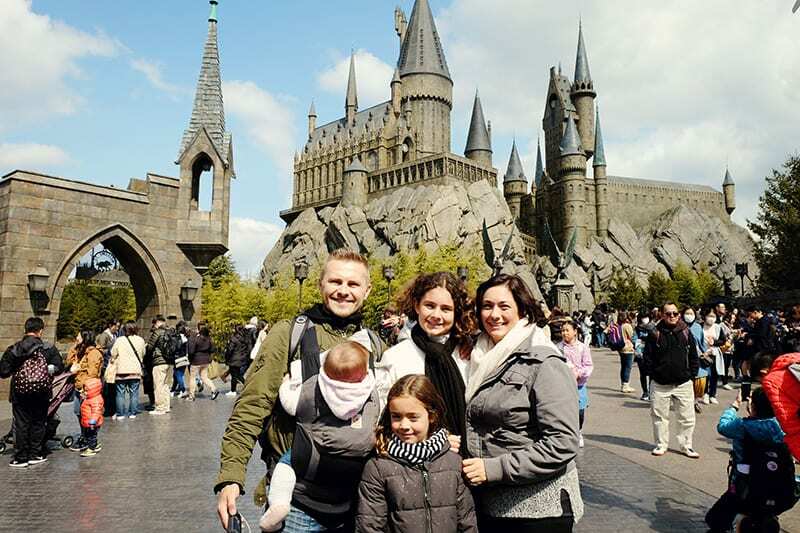 Have you been to the Wizarding World of Harry Potter at Universal Studios Japan before? How does it compare to Universal Studios Orlando?